Garden sheds are not just for tools and gardening equipment; they have so many insanely cool and innovative ways they can be used. Below are just 5 of the best ways we’ve heard our customers use their Spanbilt Garden Shed. Who said you had to get rid of those super trendy flares and shoulder pads? Lets face it, it’s a matter of WHEN and not if, these super stylish fashion trends will make a return. Garden Sheds aren’t just for storing garden tools, but can also be used as a second wardrobe. Obviously you would need to ensure you have the right insulation and store your clothing secure storage (boxes, vacuum bags etc), to ensure your quality fashion choices remain in tact. Argh the bachelor days! From footy memorabilia to the unsightly one seater that is the essence of comfort, right through to the near naked pictures of Megan Fox and Jessica Alba. The stuff we loved and are unwilling to get rid of, but are forbidden to keep inside the marital home. 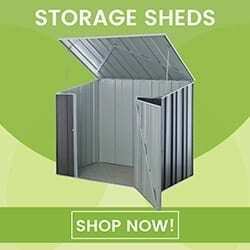 Relive the days of free, and store it all in your very own garden shed! There’s one in every pack! Maybe it’s the hubby’s brother, Uncle Benny or the country cousins … the sinister sibling who just can’t keep their hands off your expensive cutlery, booze or China. 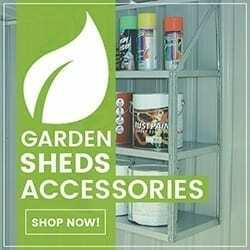 Keep your valuables under lock and key and invest in a quality steel garden shed and ensure your expensive items are kept well away from prying eyes with very, very bad intentions! Like your vinyl but space is becoming a problem? Invest in your very own garden shed, or as we’ve renamed it Record Collector. Keep them securely located well away from little or thieving hands and strategically organise your vinyl in a way that is to find. Hiding the kids Christmas presents can be somewhat difficult, especially when you’ve got kids like mine where nothing and nowhere is sacred. 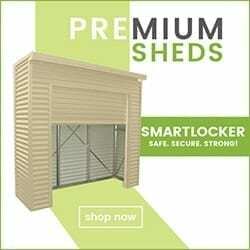 A carefully selected, lockable garden shed will allow you to create a year round Santa Workshop where you can hide Christmas, birthday and even anniversary gifts.